This post originally appeared as an op-ed in Fox News Latino. It was the immigrant and Latino vote that helped President Obama win the White House in 2008 and 2012 because of his promise to pass comprehensive immigration reform. After five years of relentless deportations under his administration, our President is destroying the immigrant communities who brought him to office. Candidate and later President Obama captured the love of our communities because he spoke to us from a similar place as an aspiring former outsider in America. Yet that love has not been returned to our communities – instead, his administration is close to having deported two million people. On this, Jeb Bush and I agree. But love and politics apparently do not mix. This is why President Obama told the American public he would use more discretion when it came to deportations; he vowed to only target criminals and those who wish to do harm to our communities. Let’s look at the facts. Under his presidency, of the 2 million people that have been deported, The New York Times reported that just 20 percent of those cases involve people convicted of serious crimes, including drug convictions. That means that 1.6 million people – fathers, mothers, caregivers, family bread-winners, sons and daughters – have been ripped away from their families for minor infractions like running a red light or re-entering the U.S. in a desperate effort to be reunited with their families. People like Karina Magdaleno, a single mother who has been living and working in the U.S. for the past 15 years. Karina was hosting a party for her son’s first birthday when immigration officials showed up at her door and took her from her home and three children. Her crime? A simple traffic violation. And then there’s Marco Gonzalez, father of five American-born children who lived in the United States for 20 years after fleeing Guatemala, where he had been abducted by rebel forces and held captive for months. Marco was deported from the U.S. on December 30th of last year, leaving behind his wife and five kids, ranging in age from four to 14. Marco’s crime? A bad check from 15 years ago. It’s almost laughable that House Republicans claim President Obama’s lack of immigration enforcement as the cause for their inaction on immigration reform. In the five years that Mr. Obama has been in office, the number of deportations involving undocumented immigrants whose most serious offense was a traffic violation have more than quadrupled compared to the last five years of President George W. Bush’s administration. We need to close this sad chapter in our country’s history and stop deporting people who have come here not to do harm, but to reunite with loved ones, support their families and find better lives. And we need a President and a Congress with the courage to stand up for these families. 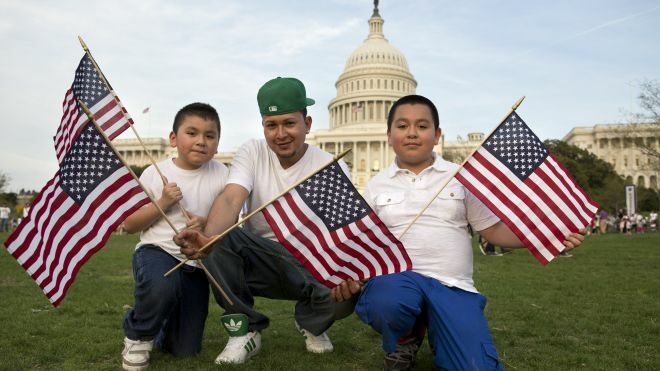 In 2012, we all saw what the immigrant and Latino vote could do. It’s time for our president to fulfill his promises, and for House Republicans to face the truth that they have two choices: stop destroying families, or prepare for the destruction of their party. The House GOP would do well to learn from Jeb Bush's ability to speak with moral power about the real lives of people being destroyed by their choice to block immigration reform for families. Kica Matos is spokesperson for the Fair Immigration Reform Movement (FIRM). Matos is also the Director of Immigrant Rights and Racial Justice at the Center for Community Change.